Vendor management is one of the hottest regulatory compliance topics for banks and credit unions today. Increasingly, CFIs are using more and more third­-party vendors to help them operate some portion of their business, from mobile banking to online billpay, anti­fraud software and more. And from a regulatory perspective, this means the risk to any individual CFI, and therefore the risk to the U.S. banking system, is distributed across this network of vendors. This is why examiners are putting more pressure on CFIs to do a better job of understanding the financial health of their vendors as well as the other risks each vendor introduces, such as IT security risk and the potential impact that risk could have on the bank or credit union. Examiners expect to see a robust vendor management process in place, and that adds to the workload and the cost of compliance. Despite the costs, however, CFIs are continuing to invest in these third­-party vendor relationships to help them gain a competitive edge. There are a lot of smart people in the vendor community leading the innovative charge, inventing great products. Canadian company Verafin, for example, uses a network of its customers to better identify and track fraudsters. 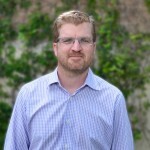 Utah­-based company MX raised a $30 million Series A round of financing last year to grow i’s unique, data-driven approach to personal financial management software, helping FIs better find their most profitable customers. In addition to knowing a lot about technology and other products to help CFIs succeed, most vendors also understand the regulatory compliance issues their customers face. Why? Because they have these challenges themselves or are subject to their customers’ vendor management processes. Some vendors employ their own compliance officers and face annual examinations by one or more of the regulatory bodies that also examines their customers, such as the OCC or FDIC for banks and NCUA for credit unions. In short, vendors in any vertical employ many subject matter experts with considerable smarts and know­-how across a wide range of industry topics. And these experts are also starting to participate in online vertical professional networks as key contributors to the conversations going on there. about computer network upgrades or policies regarding using personal technology at work. Vendors at CBANC with community accounts are also starting to answer questions and share useful documentation with CFI professionals. Vertical professional networks, with their highly targeted audience, provide the forum for this rich exchange and add a unique marketing channel to the marketer’s arsenal that goes beyond general purpose social networks. including general purpose social nets like LinkedIn or Twitter. Would you like to put a message in front of CFOs at banks between $500 million and $1 billion in assets in the Southwest who seem to be highly engaged in discussions around the Bank Secrecy Act? Or how about identifying opportunities for helping IT ops directors who are asking lots of deeply technical questions about a major office network upgrade? You can do that at CBANC or Spiceworks, but once again not so much on LinkedIn or Twitter. And if you’re in the financial industry, there’s a good chance your target audience wouldn’t even see a message or ad posted to LinkedIn or Twitter, as many CFIs block these networks for security and regulatory compliance reasons. 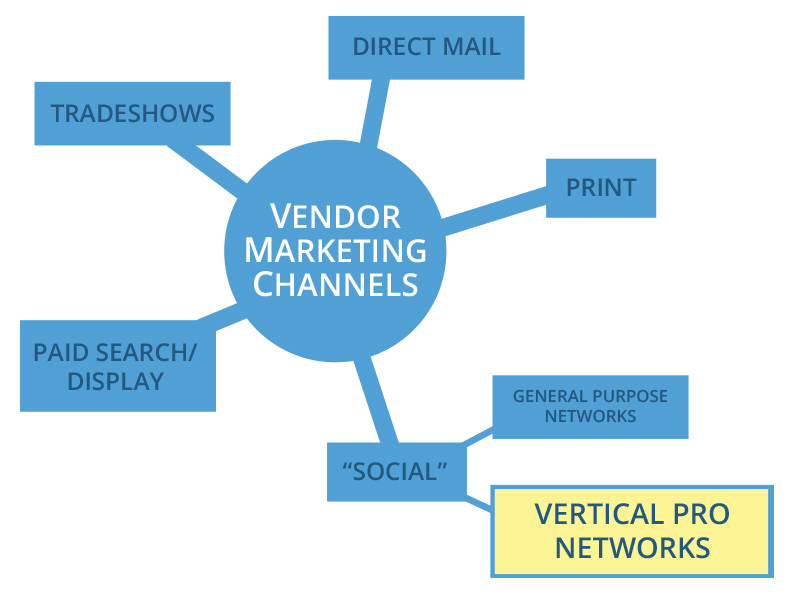 Vertical professional networks are also where the industry conversation is taking place on a daily basis, from pro­-to­-pro, vendor­-to­-pro, but also vendor­-to­-vendor. Vendors in the financial industry are already building relationships with each other and sharing expertise through terrific offline associations like AFT (Association of Financial Technology), with bi­annual meetings in the U.S. that are strictly for vendors. It’s not uncommon to see competitors sitting down over coffee at AFT meetings, talking through tricky business issues or sharing perspectives on the industry. Vertical professional networks expand those collaboration opportunities beyond in-person meetings, helping you as a vendor find other experts within the vendor community who can help you or who provide partnership opportunities. Finally, if vendors are permitted inside these “verified professional networks,” doesn’t that mean the networks degrade into a sales feeding frenzy, where every post or interaction from a vendor is simply a sales pitch? No. 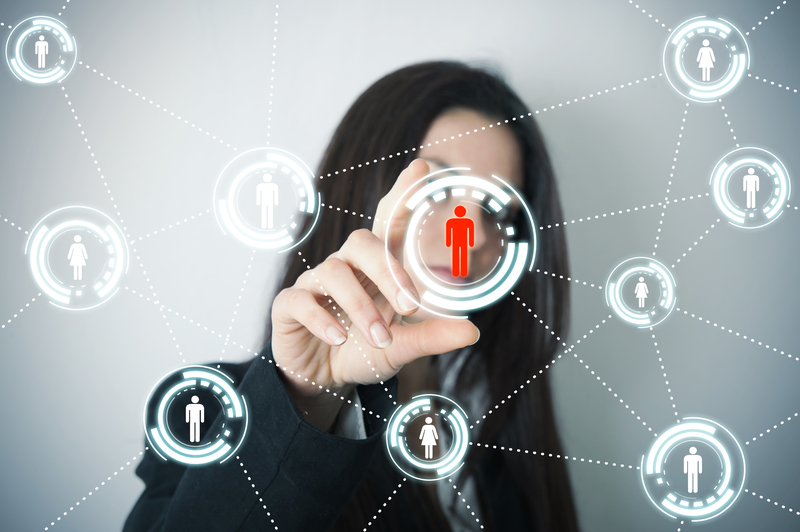 Vertical professional networks typically require strict adherence to vendor “codes of conduct” and provide other measures designed to protect their core professional members from overly­-salesy or SPAMy vendors. At CBANC, for example, bank and credit union members have anonymized “signatures” on all of their posts, questions or uploaded documents when viewed by anyone other than a fellow verified bank or credit union employee. A vendor may see, for example, that a “VP of Compliance at a $480 million bank in the northwest,” asked a question. But that vendor, by default, wouldn’t know exactly who this person is or what bank they work for. But the vendor still has enough context to be helpful by answering their question, planting strong brand­-building seeds along the way.